Holocron's store manager, Rob Fisher, holding a Jawa cardback priced at $20,000. 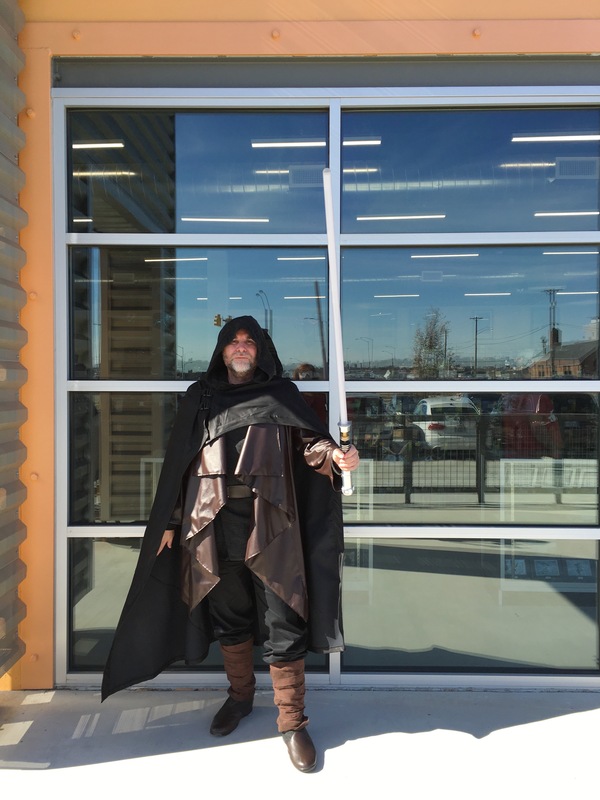 A scene from the grand opening of Fort Worth’s Holocron Toy Store. Paul Page, aka Jedi Jed, a financial analyst by day. 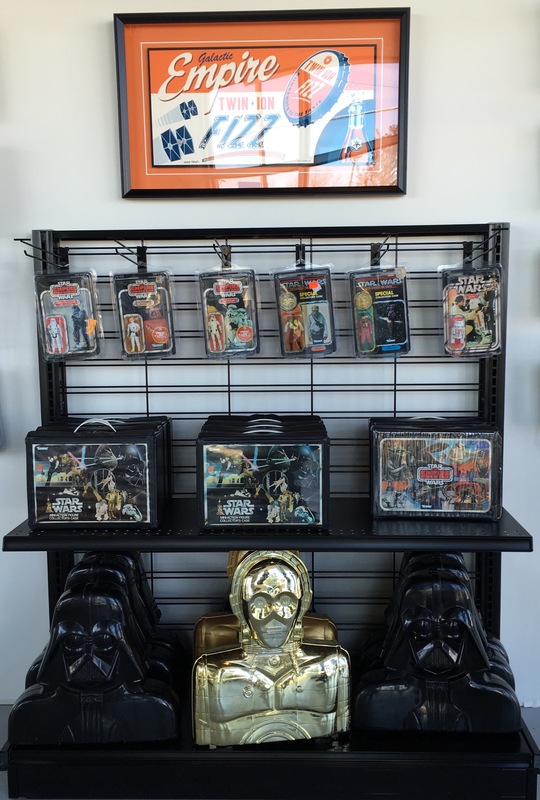 Inside a circle of display cases, the owner of the new store—who asked that he not be named in this article (“I don’t want any notoriety”)—points out a piece from his personal collection, now up for sale: a tiny vinyl-clad Jawa figurine, about 2 inches tall, still sitting in its original packaging. It’s the rarest item in the shop and therefore the most valuable, priced at $20,000. 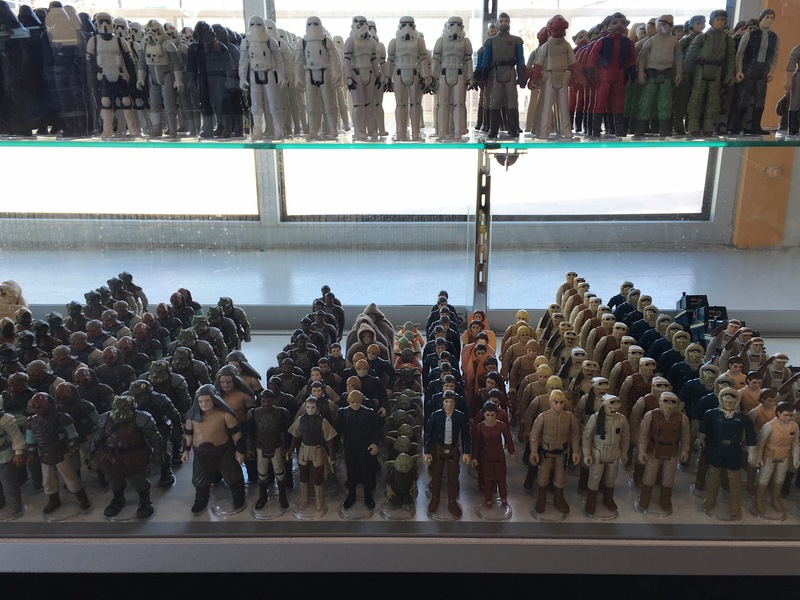 The owners explains why it’s a particularly sought after piece for Star Wars collectors: the toy company Kenner made most of the Star Wars figurines at 3-and-3-quarter inches. Because the Jawa character was considerably smaller than others in the movies, the toy’s size was also smaller. However, after production had already started on the Jawa figures outfitted with vinyl capes, Kenner execs decided a cloth cape would give the perception that the undersized toy had just as much value as the larger figures. I ask to take a picture of the owner holding his prized possession. He declines and calls over his store’s manager, another lifelong collector, Rob Fisher. The men met just months ago when Fisher was buying a few collectibles off Ebay, and the two realized they lived within miles of one another. They talked over a couple beers and a store was born. Vintage figurines start at $6 each. After Fisher poses with the mini Jawa, he points out another treasured item: a Stormtrooper cardback that remains “unpunched,” meaning, the toy’s cardboard packaging was never punched to hang on a store wall. The unpunched Stormtrooper toy is going for $6,999; its “punched” counterpart is marked $3,199. One of Fisher’s favorite parts of his new job is helping others assess their collections. He says earlier that week, a woman brought in a cardboard box packed by her late mother. 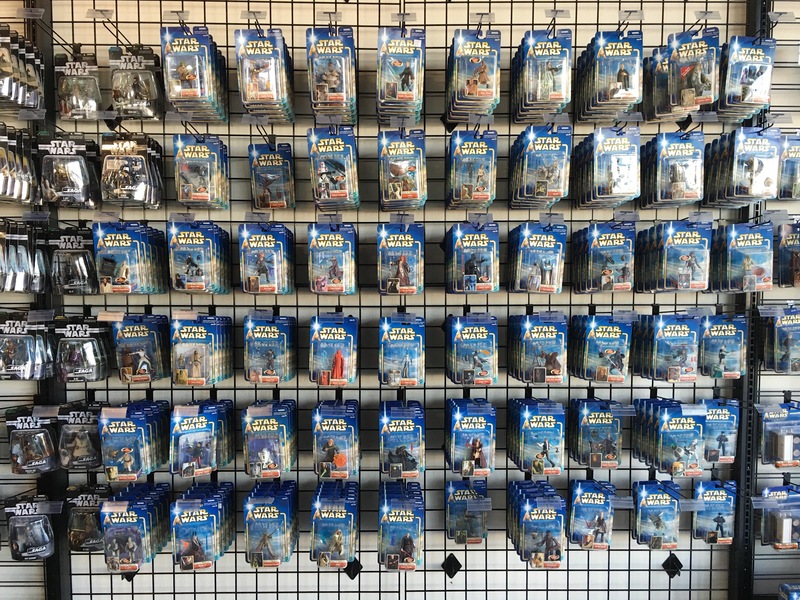 After the first Star Wars movie came out, the mother bought three each of most of the original Star Wars figures: one for her son, one for her daughter, and one went straight into storage. He stops and looks at the $20,000 Jawa in his hand. “OK, I have to put this back up,” Fisher says, placing the toy back on the top shelf and locking the sliding glass door. “It makes me nervous having this out of the case for more than five minutes.” Holocron Toy Store, 3613 W. Vickery, Fort Worth.